For many things, change can be good. Changes brought about by progress can provide many benefits. Advances in medicine have saved countless lives and have improved the quality of life for many others. Cars have gotten safer, science has advanced our understanding, and more information is now readily available than ever before. But in areas of integrity, work ethic, financial responsibility, and other time-tested values, the changes of late haven’t been so good. In these areas we, as a nation, are not on the right path. Over the past twenty years, the world has drifted farther and farther from the commonly held wisdoms of a past era. Bah! What Does Grandma Know? It seems that the world has abandoned the lessons taught us through the generations. Is this the advice we were given as kids? Does all this really make sense? Events of late would indicate no, it’s not working out well for us. The mortgage crisis, the near financial collapse of our banking system, and the cloud of debt that looms ominously over America and over many families across the nation gives pause to the contemporary wisdom. If all of this was a good idea, why are we in this situation? Why does the end of the world as we know it seem inevitable? Buy only what you can afford. Make a budget. Prioritize your needs and make a plan. Don’t go into debt to preparing for the future. And certainly don’t go into debt for a new flatscreen television or the latest model of a sports car. Work hard for an honest day’s pay. Expect to work. Don’t expect the government to take care of you. Social safety nets are good and are there for a reason, but don’t allow them to become a way of life. Lend a helping hand to your neighbor when he’s in need. Charity to others is simply the right thing to do. Remember the Golden Rule, do unto others as you’d have them do unto you. Being fiscally responsible gives you the freedom to be charitable. Enjoy God’s creation. Plant a garden and enjoy its bounty. Get some chickens and raise your own eggs and meat. Plant some fruit trees in your backyard and enjoy the fruit. Be a good steward of the land. Mind your dollars and cents. Be frugal. Grow and preserve your own food. Don’t pay extra for name brands. Use coupons and shop thrift stores. Don’t waste your money, your time, or your God-given talents. Live a full life. Don’t waste it mindlessly watching hours upon hours of television or playing video games. Instead, take a young person fishing or hunting. Teach someone to knit or sew. Make a difference in this world. These are the principles that made America great. What’s happened to them? Much advice and information is available to each of us daily. 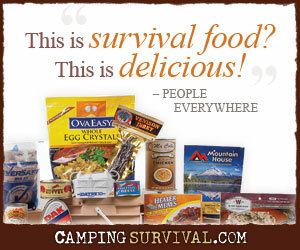 For the prepper, no advice rings more true than that which your grandmother would give you. From “Eat your vegetables” and “Live within your means” to “Don’t put off until tomorrow what you can do today“, we can learn a lot past generations, if only we listen. You said ‘was’. I’m sorry this wise woman is no longer with us….I agree, however, that her advice is still sound.